My name is Sofia and I am an eighth grader at Piedmont Middle International Baccalaureate School in Charlotte, NC. This summer I had the opportunity to read Doc Hendley’s book Wine To Water for a school reading project. I was not excited at first, but it was not long before that all changed. The book was so interesting that I found myself reading past my daily goal of 20 pages a day. I felt as if I were being carried around and watching everything unfold in the book. My views on the world were forever changed with those 300 pages. I was so moved that I knew I had to do something. This story was not one I could put back on the shelf and forget. For the second part of my school project, I had to interview someone regarding the subject of the book. I was amazed and extremely nervous when Doc Hendley agreed to speak to me on the phone about Wine To Water. It was a great interview and I got to hear about his experiences in Darfur, Sudan, firsthand. I was inspired! I knew then that I wanted to support Wine To Water with my eighth grade community service project. I have been collecting Pura Vida bracelets for over a year. Currently, I have about fifteen on my wrist. They are colorful and they are a brand that supports artisans around the world with a steady income. 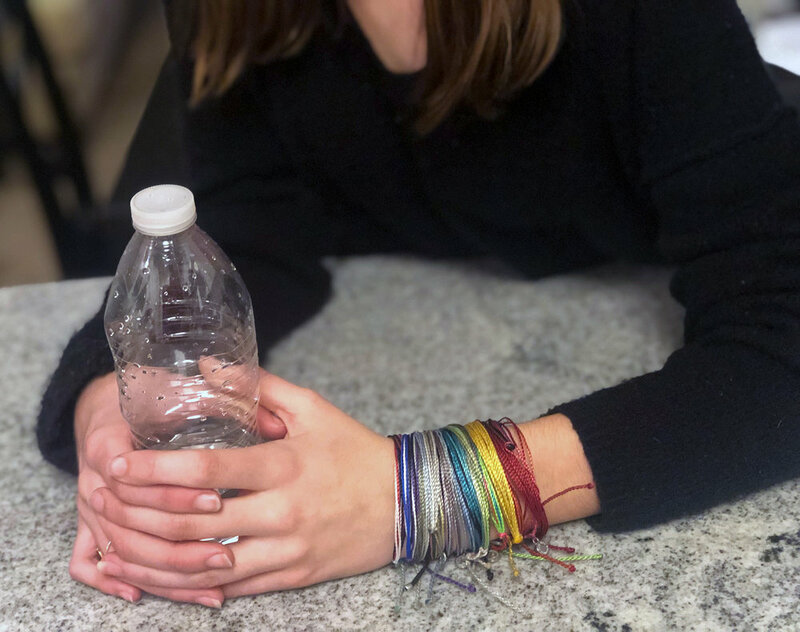 I was thrilled when I came up with the idea to order custom Pura Vida bracelets, sell them, and donate the proceeds to Wine To Water. It combined my love of Pura Vida bracelets and my passion to help others, so it just felt right! I decided on bracelets that featured my school colors and an added touch of blue to represent Wine To Water. With help from family and friends, I sold one hundred bracelets and will be donating $253 to Wine To Water. I am so glad to be able to share my story of how Doc Hendley’s book has affected me. Thank you forever, Wine To Water!